Quick release VESA plate makes monitor installation and removal fast and easy. Gas spring allows easy and smooth adjustment of monitors. Made of aircraft aluminum with white or black powder coating. 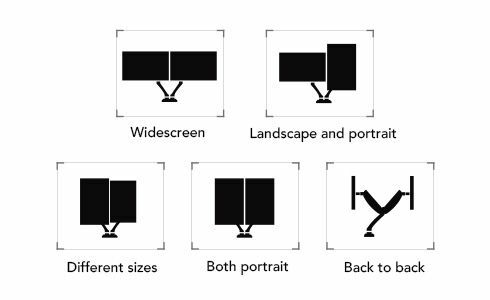 Rotate your monitors easily, portrait and landscape orientation. Design supports monitors up to 36″ wide and up to 12kg Integrated cable management reduces clutter. 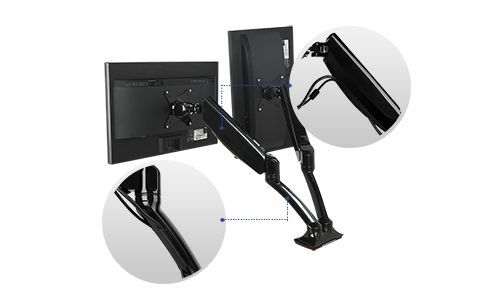 With two monitor arms at your disposal, you have complete freedom to configure your monitors. Place your displays side-by-side, spaced evenly apart, back-to-back, top-to-bottom or anywhere in between. The monitor mount also allows rotation from landscape to portrait orientation for viewing longer pages or blocks of code without scrolling. The F7D responds to the lightest touch. Rotate, swivel, extend, or tilt your screens with just a touch of your fingertip so that your screens are always exactly where you want them. 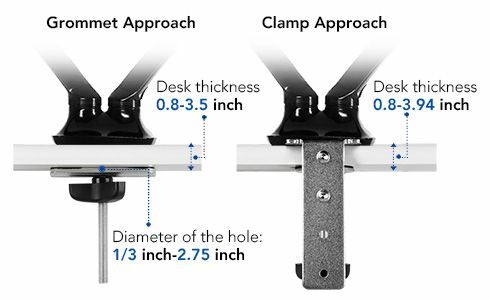 Sturdy C-clamp and grommet mount bases are included with your F7 monitor mount, making for a simple and hassle-free installation process. 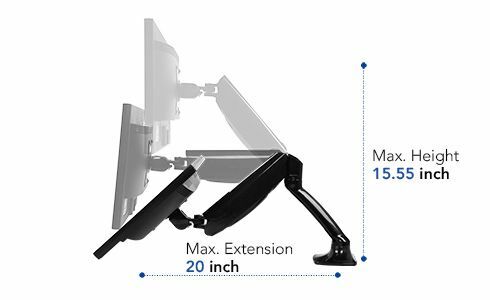 Have your new monitor mount installed within minutes. In addition to a suspended display that opens up your desktop, the F7 includes a cable management system that organizes and hides your wires to clear your deskspace — and headspace — from unnecessary clutter.